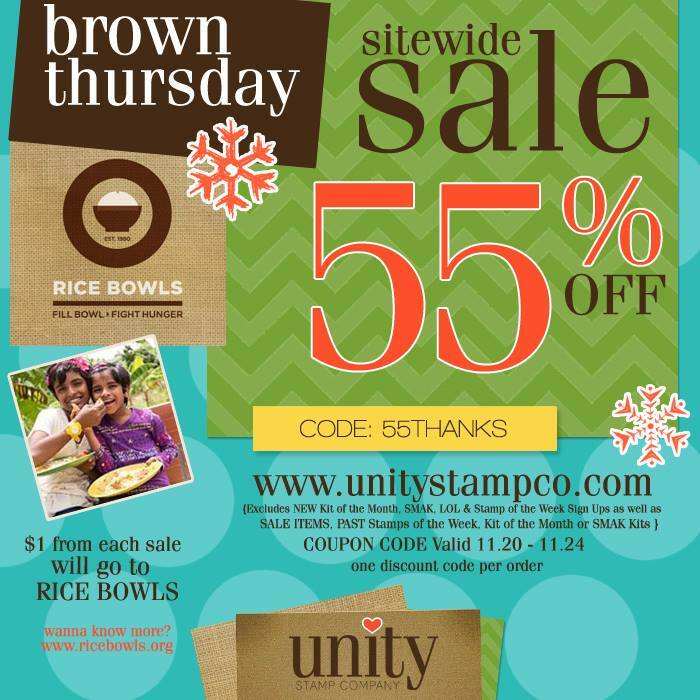 RWKrafts: Brown Thursday Unity Hop! 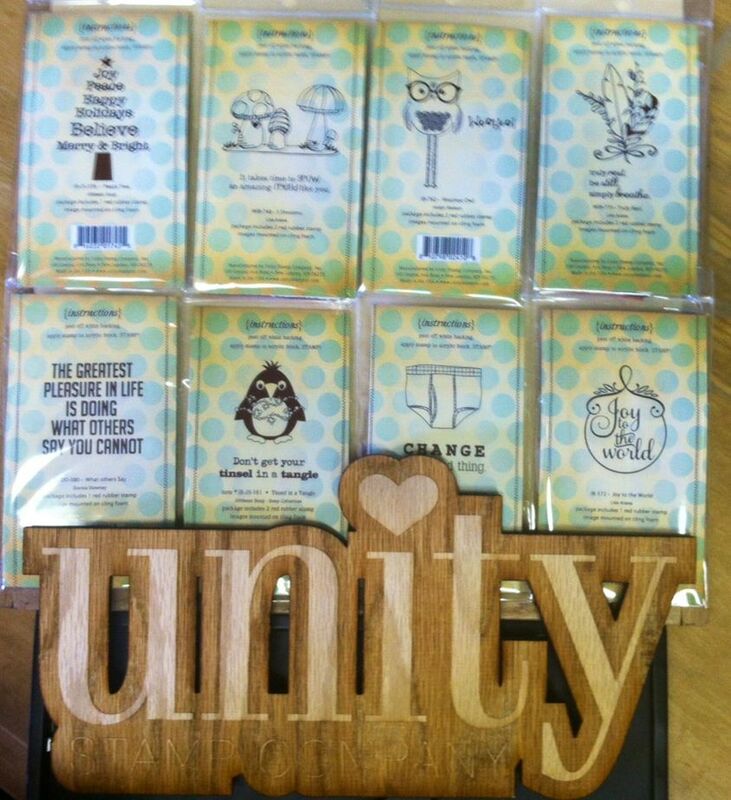 It's the biggest Unity Hop of the year! 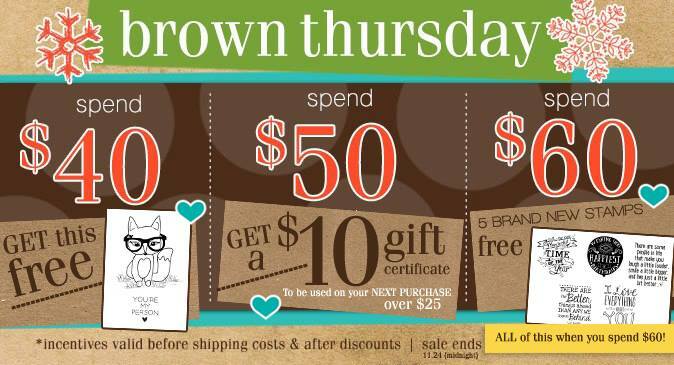 Brown Thursday has arrived and the design team has SO much to share with you. PLUS it's the biggest sale of the year... 55% off EVERYTHING at the Unity store!! There are also a TON of new releases today, but I'm actually going to share a a card with an older stamp - Lizzie Girl. Remember to leave comments on each blog along the hop for your chance to win this fun itty bitty prize pack! Once you're finished hopping, you can start SHOPPING! Make sure to enter the code 55THANKS at checkout to get that amazing deal! Great card! I love that you did a lot of paper piecing! Love this stamp. The card is so pretty. Love it. Love the paper piecing. I always forget to do it and it makes such amazing cards. I would so love this raincoat and love paper piecing also. Adorable as can be... I appreciate you sharing and inspiring. Very cute! I love paper piecing! Such a sweet card, Rachel! I wish we had blue skies - instead it's' soft and white. Love the paper piecing. that really adds to the depth of the card. Wonderful paper piecing! Awesome sale - I'll be checking it out! Wow! love what you accomplished with your paper piercing. Fabulous card. Love the stamp and your paper piecing is amazing. Love your paper piecing...wish I knew how to do that with my cards...thanks for the inspiration! What a lovely card. I just love you're paper piecing. Beautiful. Great color choices. Love the paper pierced card. Thanksfor sharing! Wonderful paper piecing and colors! Love the little paper piercing on your card, wonderful job. That paper pieced raincoat and umbrella as so darn cute!! Adorable card! I love the paper piecing. Lovely card! Love your paper piecing and all the designs, super fun! Very neat card. The paper piercing is cool. Beautifully done. Your card looks fabulous! Love the paper piecing! Great colors and patterns! Love this image! Really nice. Love the patterns for this. Love the paper pieced jacket!! Cute!! Your card is great. Love that you did paper piecing. I find cutting out all the pieces relaxing,lol. Wow, love the paper piecing. Totally awesome. Pretty card, the colors are fantatstic! Thanks for the inspiration.